Sharon Pierre Louis, a permanent resident, is planning to leave Nova Scotia because she can’t find work. “Get me a job, I’ll stay,” Louis said Thursday at a panel discussion on immigration. 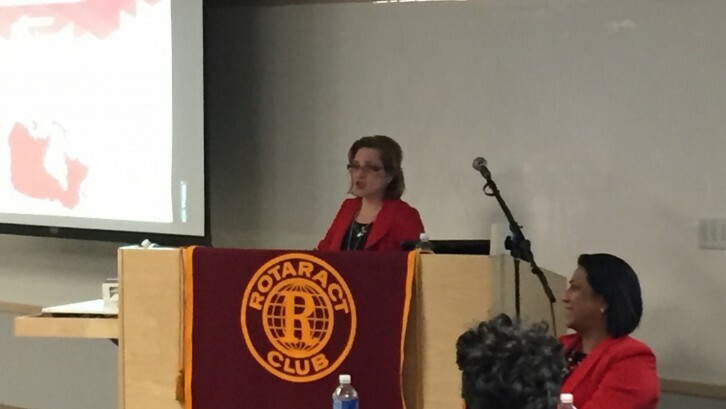 The discussion, hosted by the Dalhousie Rotaract Club, was held in the Dalhousie University Sexton campus. 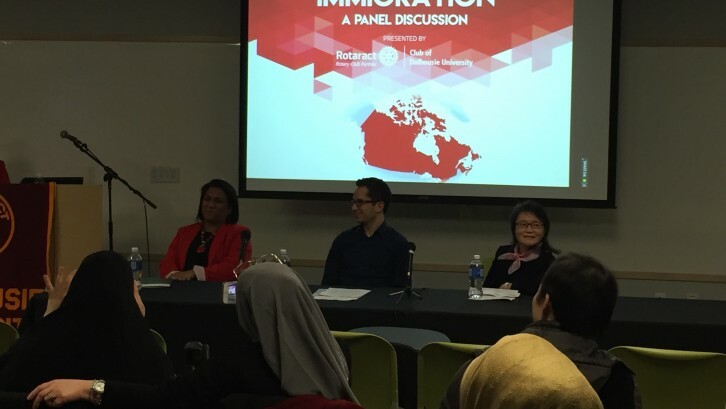 The panel consisted of Lena Diab, the provincial minister of immigration, and Ritu Ganju, an Immigration Services Association of Nova Scotia (ISANS) representative, along with Tamim Arabi, a former international student and Augusta Chang, who immigrated with her family. Louis went to school in Nova Scotia and returned home to the Caribbean after graduating. She said she was lured back because she heard news reports saying Nova Scotia needed new immigrants. In 2012, she decided to apply to immigrate to Nova Scotia. She’s been in the province, and looking for a job, ever since. She said she has worked a few temporary jobs but nothing stable. Louis has over 20 years of work experience as a secretary in the Government of Saint Lucia and as an administrative officer in the Caribbean Environmental Health Institute. But she said that it means nothing here. Immigration is mostly controlled by the federal government, but through the Nova Scotia Nominee Program the province is able to have some control. Diab said Nova Scotia had nominated 1,050 applicants as of 2015. The Nova Scotia Nominee Program (NSNP) recently launched the Entrepreneur Stream, which helps to speed up the process of immigration for immigrants who want to operate a business in Nova Scotia. There are strict requirements. 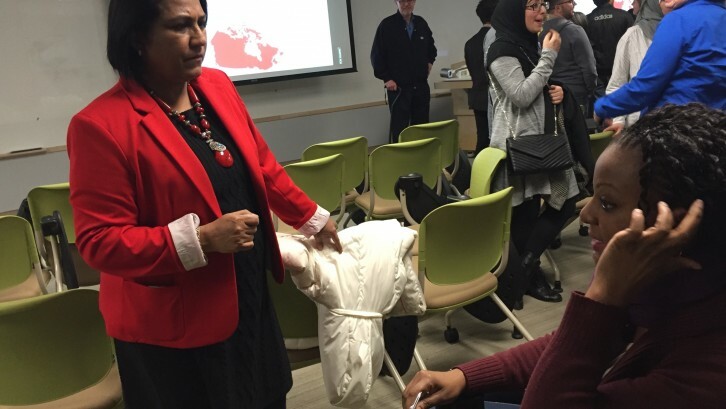 Ganju said she struggled to find a job when she immigrated to Nova Scotia and turned to ISANS, which helped her “Canadianize” her resume. “I’ve been told I need Canadian experience. What is Canadian experience?” Louis asked. Louis said she’s starting to lean towards the path that her friends took, which is leaving the province for out west. “Their employers are more accepting. They recognize the diversity and they recognize the skills that those immigrants bring in, so they use that. But Nova Scotia employers don’t seem to want to embrace that,” she said. Diab said immigrants help Nova Scotia’s economy, but employment is a problem for the entire province. “Reality is reality, we are trying to do better and we need to do better,” said Diab.